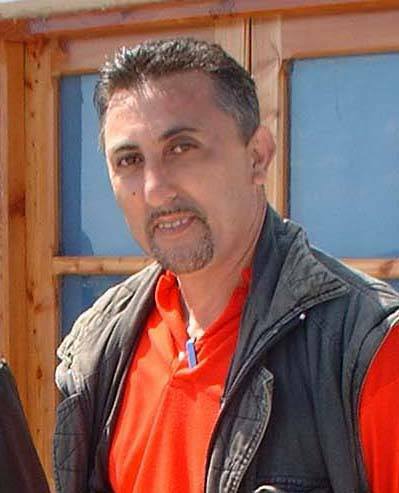 Alex Pisani – a living, breathing monument to the dangers of isolating from the rest of the world a few tens of thousands of socio-educationally deprived people and then having them mix and breed only with each other from birth to death in a state of ignorance – is the leader of a patriots group made up of sub-literate people who want to protect Malta from ‘integration’. 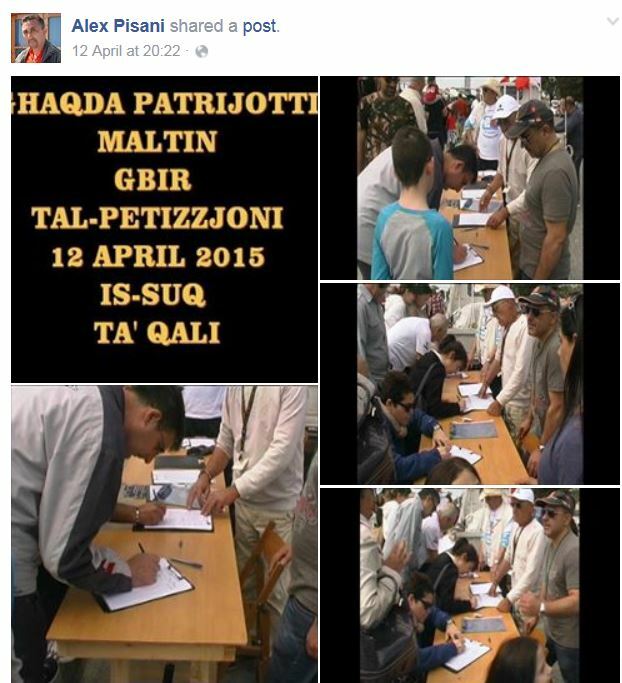 And by their own admission they do not know what ‘integration’ is (“l-integration hadd ma jaf xi tfisser”) but still they are collecting signatures on a petition to hold a referendum against integration, “ghax issa l-integration ha jaghmluha ligi”). They have worked out that referendums brought by popular petition can only be used against a piece of legislation, so they are trying for a pre-emptive strike – though they are not quite sure what integration means. All they know is that they are against outsiders, especially black ones who are African and who have a different religion, ghax Malta ghall-Maltin biss, hi. 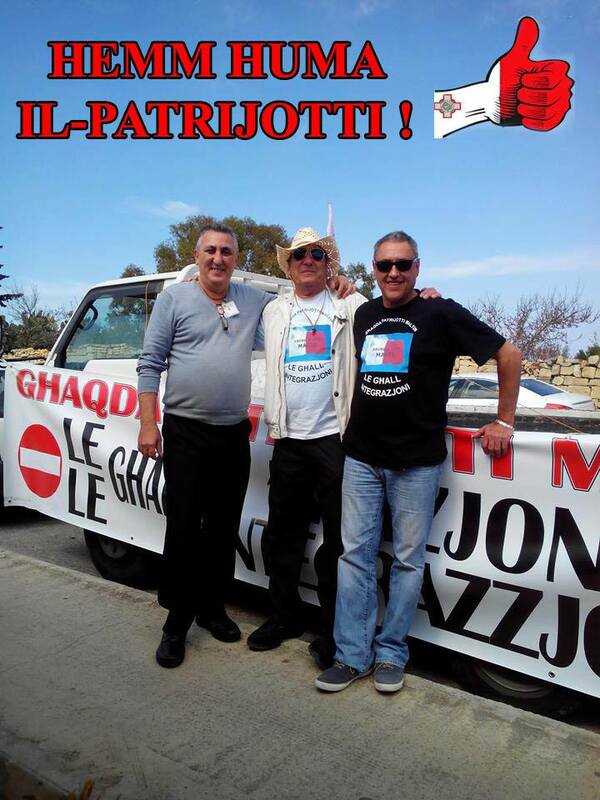 It’s pointless trying to explain to people as self-involved as Alex Pisani and his patriots that many Maltese, myself included, think of other Maltese like him as culturally alien and with whom we have absolutely nothing in common. 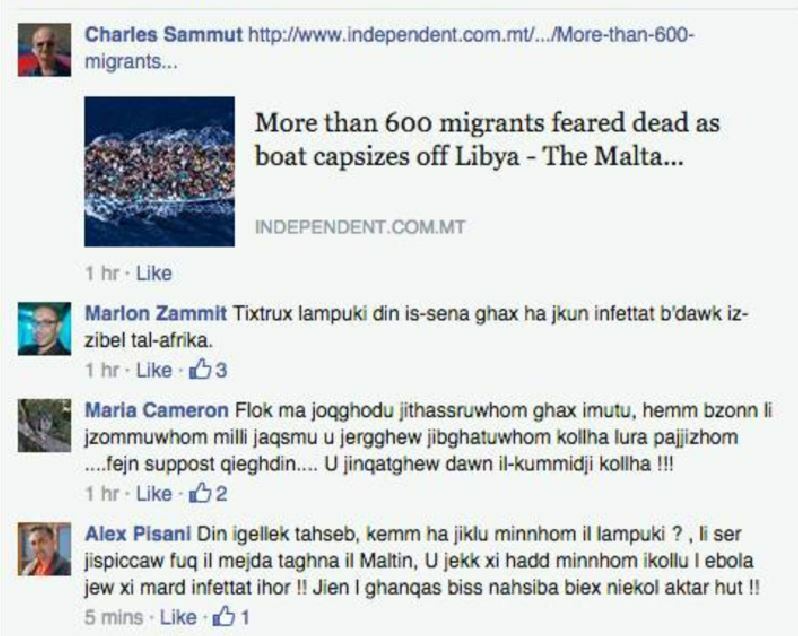 And that’s how people like him think of us – he would gladly see us drown with African immigrants so that the whole of Malta can be taken over (as though it hasn’t been already) by people like him. Now Pisani, in the face of tragedy yesterday in which more than 600 people are feared drowned, has but one concern. Will fish be safe to eat? He’s going to err on the side of caution, and not eat any fish at all, because some of those Africans who drowned might have had Ebola. He’s particularly worried about lampuki.